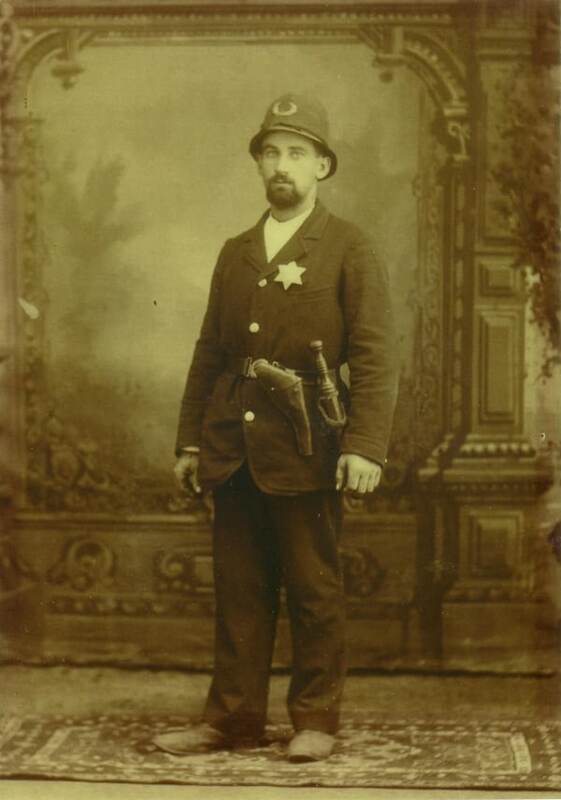 In the early days of this country, the primitive law enforcement agencies relied on whatever sidearm was available at the time, often acquired at the law man’s expense. Throughout the 1800’s all sorts of revolvers saw service in the hands of marshals, sheriffs, and constables across the country, but there were no department issue guns, everyone provided their own, and training was whatever experience the man had. You could wind up with a Barney Fife just as easily as you could get a Wyatt Earp. 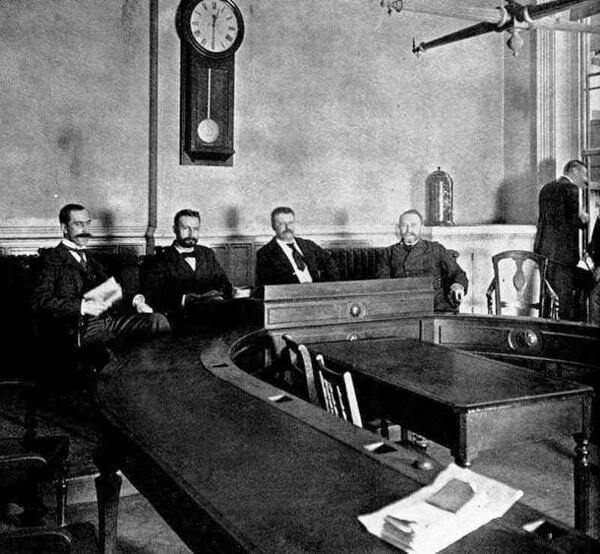 That all changed when Theodore Roosevelt during his stint as the President of the Board of Commissioners with the NYPD from 1895-1897 decided to standardize all of the guns for the department. Roosevelt placed an order for 4,500 Colt New Police revolvers chambered in .32 S & W Long (called .32 Colt by that company even though the round is identical). Roosevelt knew the value of having one caliber of ammunition for all of the guns in the arsenal, but he also wanted every officer to be trained in how to use the guns as well. While in the northern part of the country, many officers went to the .38 Special in the early years of the twentieth century, in the south it was a different story. 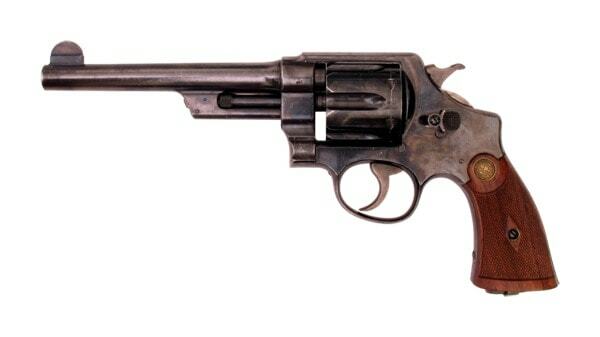 Many officers preferred to carry large caliber revolvers such as the Colt Single Action Army well into the 1920’s as well as double action revolvers like the Smith & Wesson Triple Lock and Colt New Service. 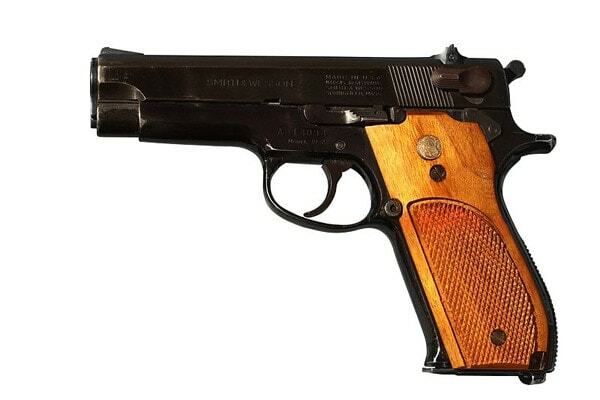 In 1935 when the .357 Magnum was introduced, partly because of the .38 Specials poor performance on the auto bodies of the day, those who could afford the expense of the new Smith & Wesson revolver quickly bought them, including the fledgling FBI. For decades the revolvers ruled the roost when it came to equipping the law enforcement officer, whether it was a Smith & Wesson, Colt, or even Ruger despite the fact that semi-auto pistols like the 1911 Government Model and Browning Hi-Power had been available for nearly just as long. This changed when the Smith & Wesson Model 39 9mm pistol was introduced and was adopted in 1967 by the Illinois State Police. For the first time a semi-auto pistol was used in large numbers for a single department, it would not be the last. 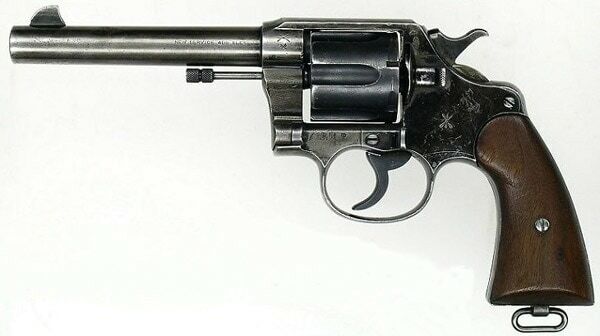 Following the Model 39 was the Smith & Wesson Model 59 with its high capacity magazine and the race began to replace the wheel gun with the semi auto pistols that could hold more ammunition for the police officer to carry. Some stalwart departments literally stuck to their guns preferring their revolvers over the high capacity pistols, which were noticeably heavier with a full magazine and a couple more on the duty belt. But this all changed with the invention from Gaston Glock. Whether you love them or you hate them, the Glock pistol is here to stay. 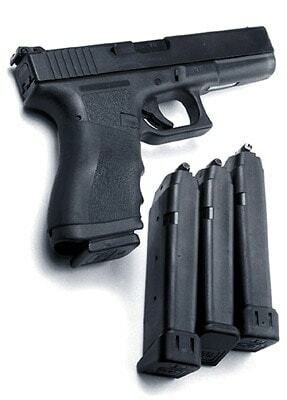 With its polymer frame the Glock, even with a fully loaded magazine, takes up very little weight, and with its price being equal or less than a new revolver it was ideal for police work, not to mention its touted reliability. 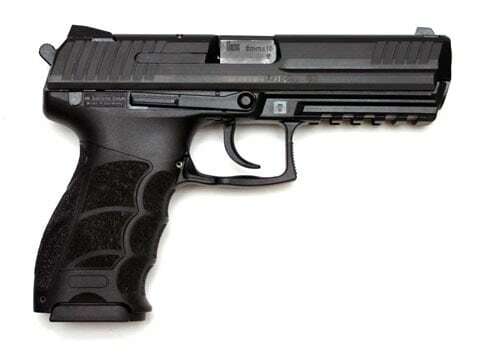 When word spread departments nationwide shelved their revolvers and heavy steel framed guns and went with the “Plastic Fantastic” from Glock, while the better financed departments purchased guns from Sig Sauer and even Heckler & Koch. The age of the polymer pistol is here. It has been a little more than a hundred years since Theodore Roosevelt first began standardizing the NYPD with modern side arms and training. Now every department big and small trains their officers on how to best use their most important every day tool. 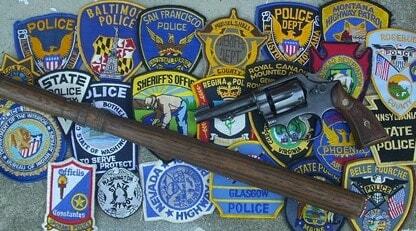 Who knows what this century has in store for the law enforcement officer?